to the "biocranio" site (use of bioabsorbable osteofixation devices in treatment of craniofacial syndromes). This site belongs to the EU-funded project (BMH4-98-3892) on the use of bioabsorbable osteofixation devices in treatment of craniofacial syndromes. Leading craniofacial European centres from Austria, Finland, France, Sweden, the UK, work together in this project. Smart biodegradable osteofixation materials were developed using the self-reinforcing technique. Devices made of these materials prove to be biocompatible, reliable and successfull in craniofacial surgery. They are currently produced and marketed by the SME Bionx Implants Ltd, Tampere, Finland. "Biocranio" was regarded as a success story by the European Commission. Presented at the Conference for Launching the 6th Framework programme. 11-13 Nov. 2002, Brussels. 180 patients were operated on. Most of them were children with craniofacial deformaties. They were operated on and their deformnities were corrected using bioabsorbable osteofixation devices, in Paris, Innsbruck, London and Oulu. The "Biocranio" project concluded January 31st, 2002. Development of antibiotic-containing PLGA and PLDLA bioabsorbable screws. 4th symposium on the use of bioabsorbable osteofixation devices in craniofacial surgery April 6th-8th, 2001 at Ruka, Finland. Development & application of bioabsorbable tacks & tackshooter. 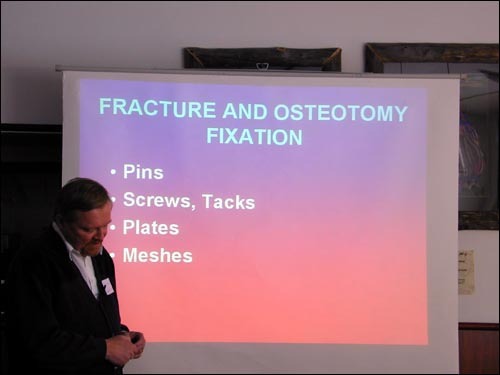 3rd symposium on the use of bioabsorbable osteofixation devices in craniofacial surgery, Punkaharju, Finland, 2000. PhD thesis on biodegradable osteofixation devices by Dr. Hilkka Peltoniemi. 2nd symposium on the use of bioabsorbable osteofixation devices in craniofacial surgery, Saariselkä, Finland, April 8th-11th, 1999. Development of new surgical technique for correction of trigonocephaly. 1st symposium on the use of bioabsorbable osteofixation devices in craniofacial surgery, Verona, Italy, 1998. The "Biocranio" project commenced May 1st, 1998. Publication lists of the scientists involved in this project. Here you can view the latest of our research results. Animations and live conference presentations. Use of bioabsorbable bone fixation devices. These are made of the polymers polyglycolide, polylactide or their copolymers. They are metabolized in the body and eliminated as water and carbon dioxide. 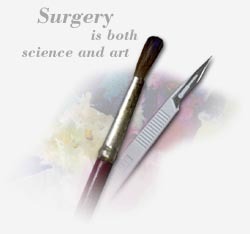 ...a step towards developing eHealth, training and education in the field of craniofacial surgery and surgical biomaterials. The information in this document is provided as is and no guarantee or warranty is given that the information is fit for any particular purpose. The user thereof uses the information at its sole risk and liability.